After picking up two of their very inexpensive Brush Essentials, I began talking with Justin, who introduced me to the S.I.L.K range. My makeup brush collection is totally out of control, and I can't say that I'm upset about it. 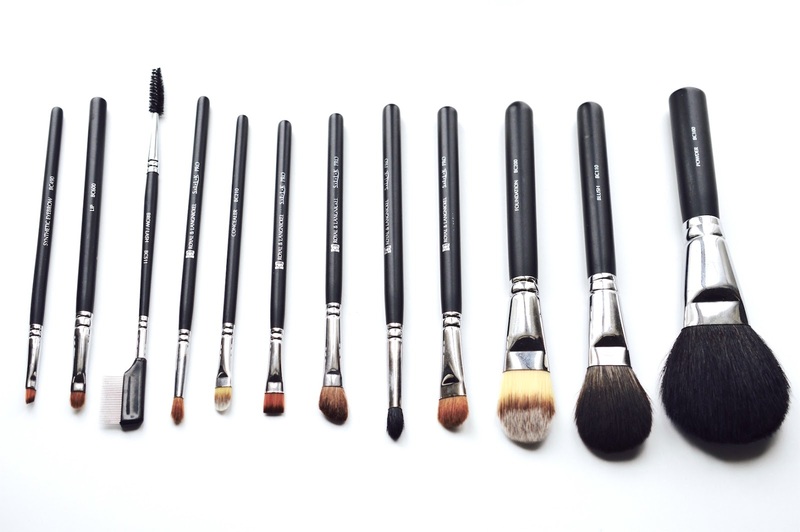 A proper tool can transform your makeup when delicately applying products to the face, so the mix of synthetic and natural bristles of the S.I.L.K® Travel Natural 12pc Kit definitely sealed the deal. Purchase the Travel 12pc Kit online here. 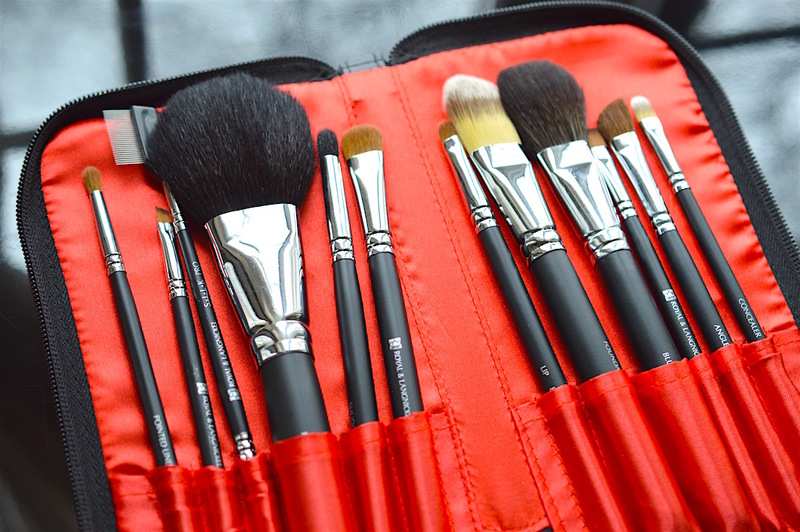 Priced at $50 CAD for the show, this brush set is complete with everything you could dream of for eyes, lips and face. Let me start off by saying that the softness of these brushes is unreal. I thought that the big fluffy powder brush would be my favourite, but I have definitely fallen in love with the BC110 Blush. 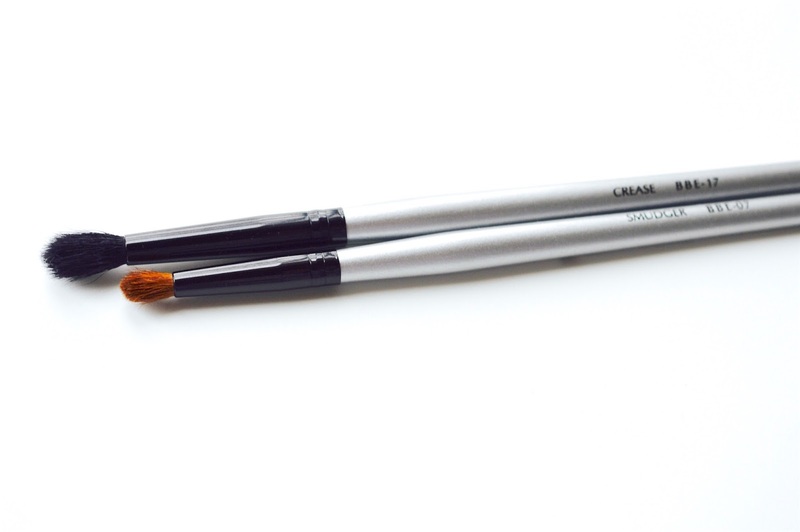 Each brush washes well and keeps its shape. 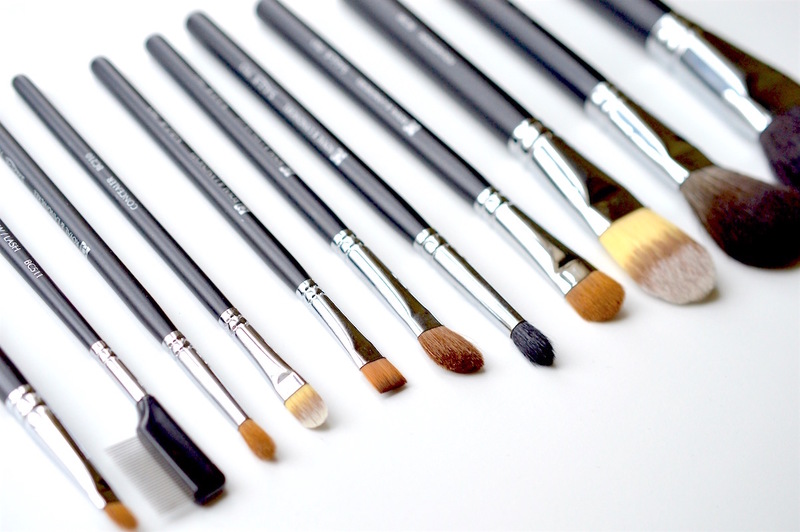 There isn't even a "dud" of the bunch, which usually happens when you buy brushes in bulk. 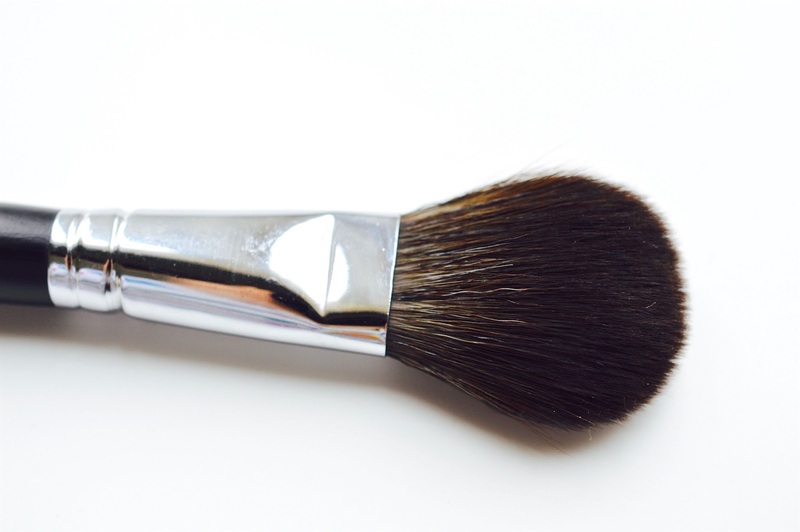 One thing that I would have added in is a more dense, rounded dome brush (example here) which I use to apply a heavier layer of foundation or concealer under my eyes and around the nose. 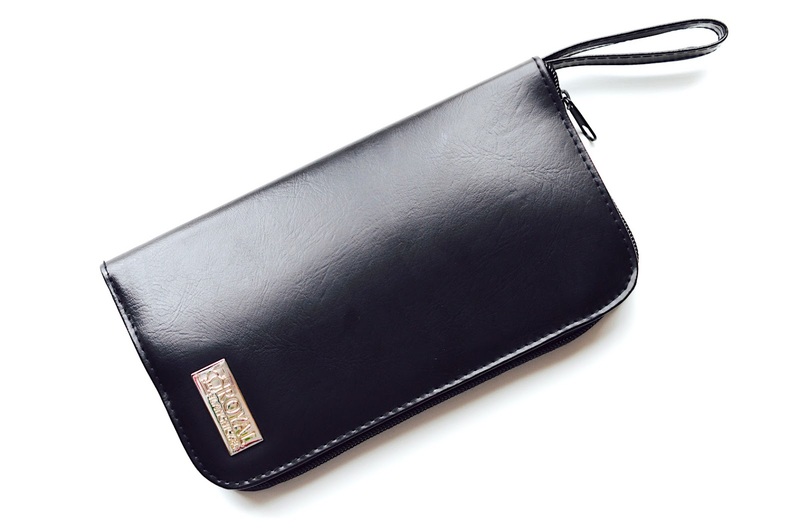 Luckily there is a bit of extra space in this pouch so I can throw in one or two of my favourites from other brands. Note: Always bring cash to a trade show like IMATS, since companies from the US will often charge you in USD if you use a card. Another standout tool from this kit is the brow and lash comb. Audrey Hepburn's makeup artist Alberto Rossi used to separate each of her eyelashes with a fine sewing needle, to ensure that they were the fluffiest possible. 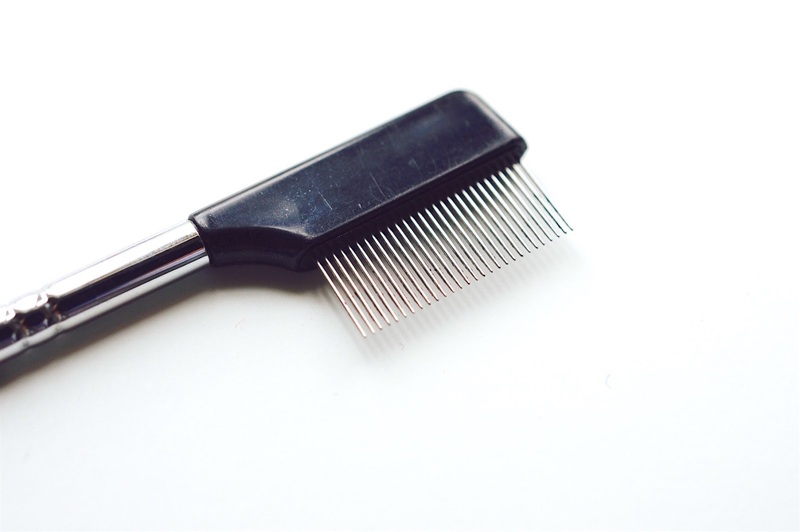 A typical brow or lash comb is plastic and rounded, which usually does NOTHING. This metal comb is sent from heaven, as it wedges between the fine hairs of my lashes and separates out any clumps for the most natural, weightless look. I will never go without this high-quality and seriously professional tool. It'll change your life. Considering the plummeting exchange rate right now, I'd recommend picking up one of these brush sets when Royal and Langnickel run a big sale, or waiting until IMATS 2016 this fall. You can sign up for their email alerts here, at the bottom of the page. Though I was generously gifted this brush set from the Royal and Langnickel team, I also purchased one of their travel brush sets for my sister. This Brush Essentials Pink 5pc Travel Kit was a mere $10 at IMATS, and the selection of brushes is both unique and very effective. 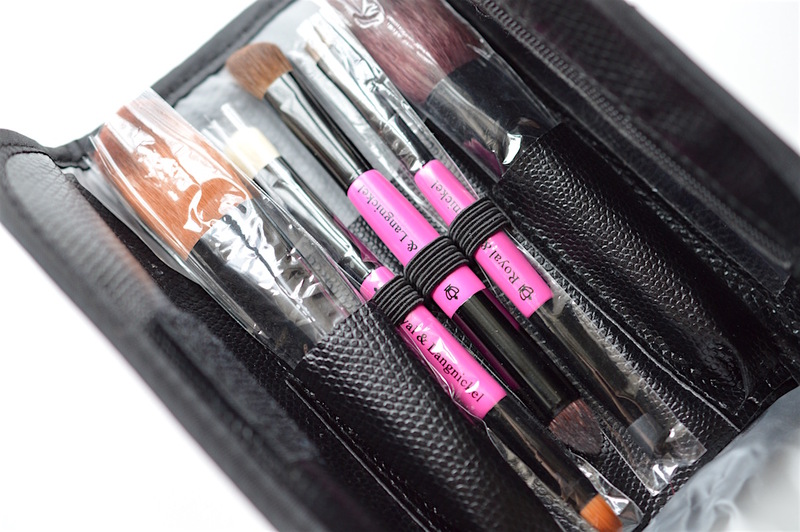 I love how there is a little zippered compartment inside the kit, along with synthetic and natural bristles for application of powders and cremes. 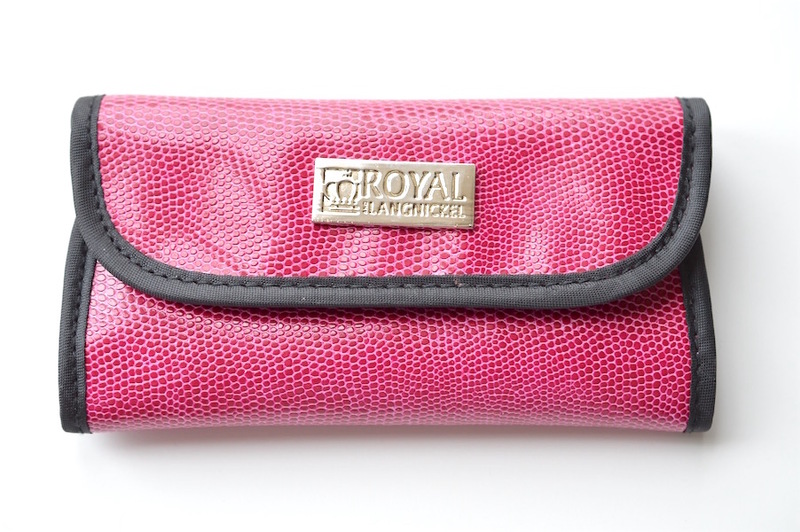 I am a big fan of the Royal and Langnickel range of makeup tools, especially since they have a history rooted in art. Click here to see their art supplies!